The Philippine Crocodile is one of the rarest animal species in the World with an estimated wild population of less than 250 mature individuals. Mabuwaya works with local communities to raise awareness and participation in the conservation of this endemic freshwater species. It supports the conservation of the Philippine Crocodile through community outreach, education, research, and population support. 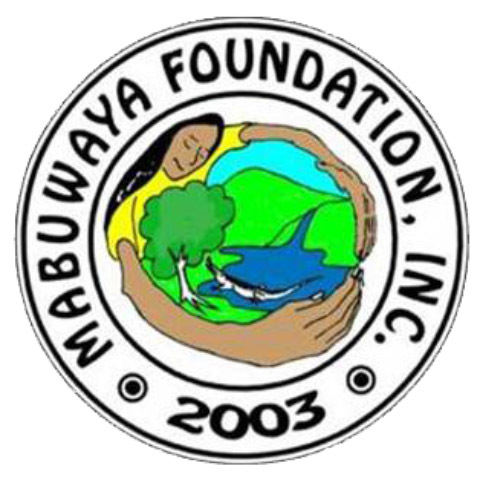 The Mabuwaya Foundation actively works with local communities, municipal governments, the provincial government of Isabela and government agencies such as the Department of Environment and Natural Resources to conserve the Philippine Crocodile and its natural habitat. The program consists of communication, education and public awareness campaigns, research, protection, capacity building and Philippine crocodile population re-enforcement and recovery activities. CEPA campaigns are aimed at gaining acceptance and support for crocodile conservation and wetland management in the local communities. Mabuwaya, in collaboration with students from the local Isabela State University, conduct school and community lectures, organize field visits to crocodile sanctuaries and perform puppet and theatre shows at schools and in communities in order to raise awareness on the plight of the Philippine Crocodile. Posters, calendars, storybooks, manuals and newsletters are also distributed to various stakeholders. Community dialogues are held within villages to resolve issues on crocodile conservation. The campaign has been a success as most people living near the habitat of the Philippine Crocodile now know about crocodiles and support in-situ crocodile conservation. Mabuwaya carries out several research projects to develop local conservation action plans for the Philippine Crocodile and monitor the effectiveness of conservation measures. Crocodiles are counted quarterly by Mabuwaya and local sanctuary guards. Habitat changes are also monitored during this quarterly survey. Mabuwaya conducts radio telemetry studies on the Philippine Crocodiles to gather more information about the movements of wild and head-started released crocodiles. The telemetry studies allow Mabuwaya to determine the range of the Philippine Crocodiles as the basis for the design of localised conservation action plans and community crocodile sanctuaries. Mabuwaya also regularly conducts interview surveys to monitor changes in perception of, and support for, crocodiles among community residents. These survey results serve as the basis for more targeted and refined communication campaigns. Critical Philippine crocodile habitat is protected in community sanctuaries. These sanctuaries are managed by village councils and the municipal government, with support and capacity building by Mabuwaya. Law enforcement, patrolling and crocodile monitoring is done by the sanctuary guards. The sanctuary guards are residents, often fishermen, who have an intimate knowledge of crocodiles and who have been trained in environmental law enforcement. To assist the recovery of the Philippine Crocodile population, Mabuwaya initiated a nest protection and head-start program. The sanctuary guards search and protect nests. Hatchlings are collected and raised under controlled semi-wild conditions for two years and then released back into the wild. This increases survival chances of small crocodiles to more than 80 % compared to less than 5 % in the wild. The 4Cs project rewards rural communities with cash donations based on how many surviving Philippine Crocodiles there are in their village. This creates an incentive for villages to protect the crocodiles while the cash donations aid in local development. Mabuwaya also supports local school children in villages near crocodile areas with school supplies and environmental education materials under the CROCS Program. The Mabuwaya Foundation aims to protect and conserve wild Philippine Crocodile populations in the municipalities of San Mariano, Divilacan and Maconacon in the Northern Sierra Madre Natural Park and its buffer zone in northeast Luzon.